Somewhere between the transition from high school to college the obligation for financial responsibility falls in the lap of the college student. Although surveys suggest that college students know they need to take responsibility for their finances, this awareness rarely correlates with the monetary decisions young adults in college make. That may be due in part to the fact that financial planning for the college student is not usually a part of the preparatory steps for college life. Those students, however, who grasp the significance of financial accountability before the disconnect from home to college occurs, not only achieve intellectual excellence, but graduate with a financial acumen that can put them on a more solid economic foundation for life. According to the College Board, tuition has historically risen between three and five percent annually. Studies also show that there is a wide disparity in the cost of tuition and boarding costs between public and private colleges in different parts of the country. 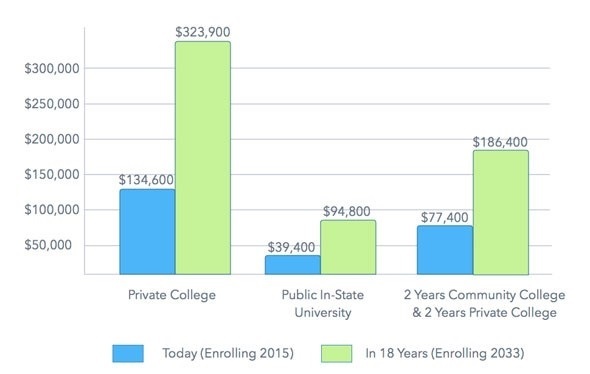 In the last decade, tuition and fees at private schools rose by 54%. Public four-year colleges received an even harder hit at 71% percent over the same time period. Research data also indicated that changing enrollment patterns have also impacted college finance pricing structures. It is not uncommon for college graduates to find themselves straddled with debt that they accrued during their college years. In fact, according to recent financial data, college student debt has been accelerating so fast that it has now become a burden on the U.S. economy. Experts suggest that most students are unaware of the full impact of the financial obligations of going to college. 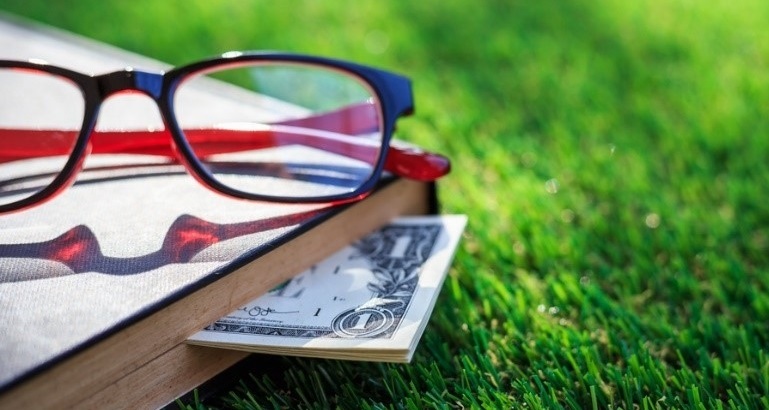 The reality is that those students with a better handle on their cash flow are those who engage in some type of financial planning for college. As a result, these students tend to spend less time stressing about money and more time enjoying their college years. Whether you are getting ready for college, are already there, or are a recent college graduate, the following tips could help you to start taking control of your finances. Set up a budget. One of the most important tools of financial planning for college students and anyone wanting to accomplish their financial goals, is to have a budget. A budget can help you to understand your current financial status, know where your money is going, help you to save and even to identify any surplus money in your finances that could be used for investing. Avoid or minimize credit card debt. It is easy, when going to college to develop a dependence on credit cards to pay for the wants of college life. Unfortunately, many students use credit cards to pay for everything from pizza to Spring Break trips. Student surveys reveal that as much 70% of college students have at least one credit card and more than 27% use credit cards to pay for all their college expenses. Set Your Financial Goals. By taking some time to think about your financial goals, it can provide the motivation to do what it takes financially to reaching them. For those who are not satisfied with just getting by, it is important to be specific about what you want to do whether it is to spending summer break in Europe, buying a car or having the freedom to wait until you find the right career opportunity after college. Begin by making a list of your short, medium and long-term goals and assign a monetary figure to each goal. Start Saving. According to author’s Thomas Stanley and William Danko in their book titled “The Millionaire Next Door” saving is a common denominator for people who become wealthy. When you are in college with barely enough to meet your needs, this suggestion may seem ludicrous. However, even if you start with as little as $5 a week, saving money is worth the effort. The more you save the easier it becomes to accumulate additional savings. Get help if you need it from a qualified financial advisor. They can help you to assess your current financial status, set up a budget and identify innovative ways for you to save and even to develop an investment strategy. 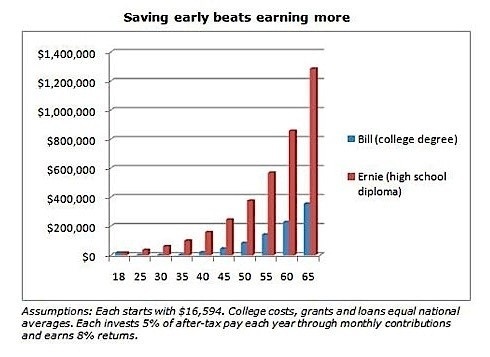 Early financial planning for college students is one way to establish and exercise financial responsibility. It is an important step that can help students to be successful in college and life.